Michael was born and raised in the lower peninsula of Michigan and was exposed early to the waters of the Great Lakes, spending a good amount of his childhood enjoying fishing and pleasure cruising on these waters. Upon graduating high school, Michael enlisted in the United States Navy as an Electronic Technician and spent 4-1/2 years of his 6 year enlistment at sea in the Mediterranean, North Atlantic, Caribbean and Western Pacific. 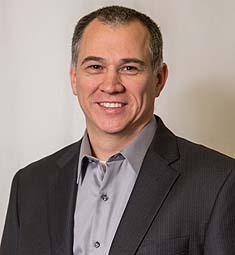 As an honorably discharged veteran of the Persian Gulf War, Michael made the decision to take the skills and experiences he acquired during his military service to the civilian market where he has spent the last 21 years in various technology related industries with the past 15 years in business operations management roles. Michael holds a Bachelors of Science in Business Management from Indiana Wesleyan University and his international business experience provides him with an exceptional foundation to manage the documentation requirements of the yacht buying and selling business. Michael approached Curtis Stokes in 2013 looking for a new adventure in the yacht brokerage business, following his passion of boating. Michael is operating as a yacht broker for Curtis Stokes & Associates focused on the Charleston, SC region and surrounding states during the local boating season and assisting in the south during the off season. Michael currently owns and operates his pleasure craft out of the Cleveland, Ohio area with the Ohio River being one of his favorite places to cruise. Michael is a Gold Looper, since he crossed his wake and completed the Great Loop. Michael’s love of the water and boating continues below the surface as he has been a certified scuba diver for the past 4 years, diving primarily in Mexico and Florida. Additionally Michael holds a Private Pilot’s license. Michael can be reached by email at Michael@CurtisStokes.net or by phone at 440.781.8201. 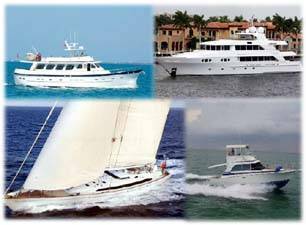 Michael Martin is a graduate of the Yacht Broker Institute.